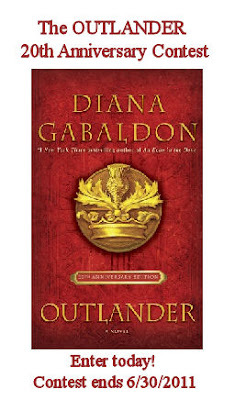 Thanks very much to all of you who have sent in your entries for the OUTLANDER 20th Anniversary Contest! I received 9 new entries during the past week, bringing the total up to 32 so far! I'm sure that Diana will be delighted to read all of your stories.